Media Companies (and Executives) on the Hot Seat in 2015 – NYTimes.com. I respectfully disagree with the NYT article. Media content providers, especially those who are trying to adapt to this brave new world, have significant opportunities moving into this new year. Delivery paradigms. Significant diversification in delivery mediums are still in their infancy. Motion picture brands are, by and large, using media distribution brokers who bundle a large diversification of brand assets collectively to provide great depth of media choices. Media brands/networks are distributed through a grouping of ‘channels’ delivered through the intermediary, e.g. cable company. Media content creators are competing with a crowded group of similar and dissimilar brands all within the same portal used by media bundled providers. There are quite a few opportunities for delivery in lieu of the older paradigm, such as a distribution of brands around a genre would make it easier for the consumer to find and enjoy their media content. For example, comedy.com, a portal for all media brands comedy, could be a great partnership across media companies. This collective portal, an alignment of brands within the same genre, living across media companies, may not only provide an easier, entertaining, and more enjoyable experience, it helps to innovate all those within this media partnership. 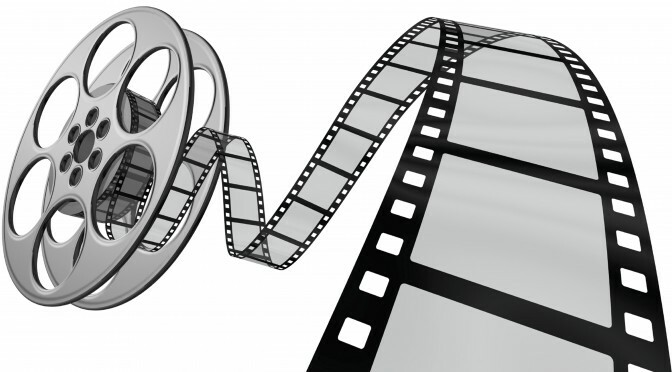 In addition to motion pictures, other formats such as text, photos and graphics, may be delivered through the same medium. Several companies are already broaching this space such as Amazon, Google, Microsoft Video, Netflix,Yahoo!, and AOL. If media content creators don’t experiment with creative distribution initiatives, they may find themselves bargaining with 3rd party distribution for the cost of IP digital distribution. Creative reuse of existing assets. This is one of my favorite opportunities media content creators can do. Many brands are already capitalizing on the reuse of assets, which then spawn to be assets on their own. Everything from one off episodes, or Webisodes, cast interviews, outtakes, interaction with live audiences through tweets (cast, director narration, and Q&A), mobile text contests, mobile app for streaming, apps for audience real-time interaction, e.g. games, and actors retweeting fan favorite clip links . Another one of my favorites are user created ‘favorite’ clips. The media creator may limit the enthusiast / fan of the content to create e.g. 60 second clips to share on social networks. The distributor needs to allow in and out points, and then the consumer can share through an email or social media. These extra assets have great potential, but brands attempting to socialize these assets may have difficulty exposing them to viewership. An integrated video and dynamic , interactive media content may surface through clickable images, either through object recognition, or a simple image overlay, like a network ‘bug’. Users may click through to the content, and instantly get a media teaser that will keep hold of the consumer, and manage the media experience. The click through interactive experience is a whole world unto itself, which requires leaps and bounds of consumer experience usability studies, backed by wireframe prototypes. The reuse of assets suffers from delivery paradigms, which fail due to a consumer content delivery void. New content driven by the consumer appetite for your brand will grow your revenue and audience affinity. This is an area which some organizations go ‘all in’, or have smaller budgets. It seems that these new productions are hit or miss. A single pilot should be exposed to several test markets, and if there is positive feedback, the brand or distributor could order more episodes. On a tangent, there is opportunity for media production companies to go to colleges, and universities, provide budgets to, e.g. film classes to produce a trailer, or short . The best clips may turn into pilots for a show, which may be a one off distributed by web only, broadcasted, or both. The lack of exposure to the brand, or network, is a huge issue which is deepened by leveraging the bundled content distributor as your primary source of distribution. How to draw consumers to a brand in a saturated world of content is a daunting task. Are media content creators looking to make large investments to innovate, or are they looking to stabilize their reduction of profit from falling ad sales, with methods such as stagnant or reduction in headcount, and slowing the breaks on CapEx. It seems like even a temporary retreat to see who is the new trailblazer, and follow that model can be a costly mistake for the brand running into obscurity. Companies are already following some of the leaders in the marketplace today, but their success is not guarantee for tomorrow’s performance. Bundled content providers may also take a page from the proposed model where we have STB customized portals, e.g. based on user’s previously viewed content, a jump page for your viewing experience. A new STB may incorporate a Wii type sensor, and a new remote, interacting with the sensor to provide a more fluid experience. A lot of opportunities, for talented people, as well as the investors who believe in them.